Visiting friends and family will ask to stay outside when they see this extravagant Outdoor Room featuring a wood Pergola, Gas Fire Pit and elegant Fireplace. Imagine hanging flowers and clinging vines surrounding you as you sit down and relax, nestled under the stunning pergola while you warm up near the fireplace. 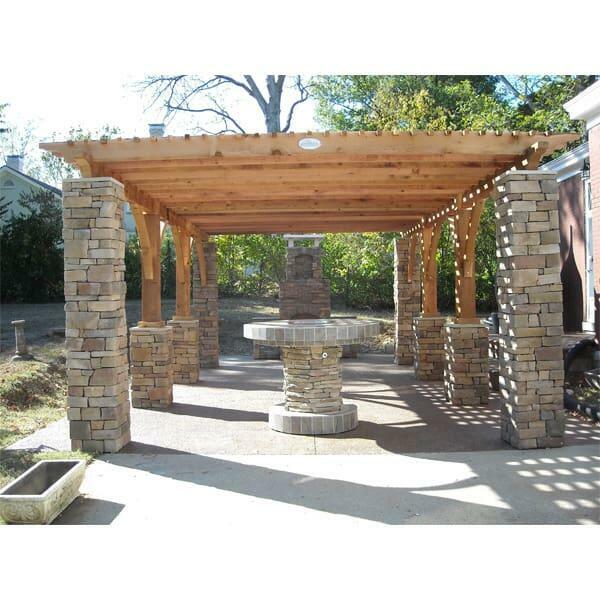 Or envision your next cocktail party, where groups discuss various topics near the fire pit, a great conversation piece. Regardless if you need a space to entertain many, or need a quiet retreat from the house to read a book, you are in control when it comes to the "McGraw" Pergola Project by Leisure Select. Every aspect of this outdoor room is custom, chosen by the homeowner to fit their specific tastes and needs. Unsatisfied with the color of the stone columns? Choose the shape, size and color of the stones to perfectly match your home. 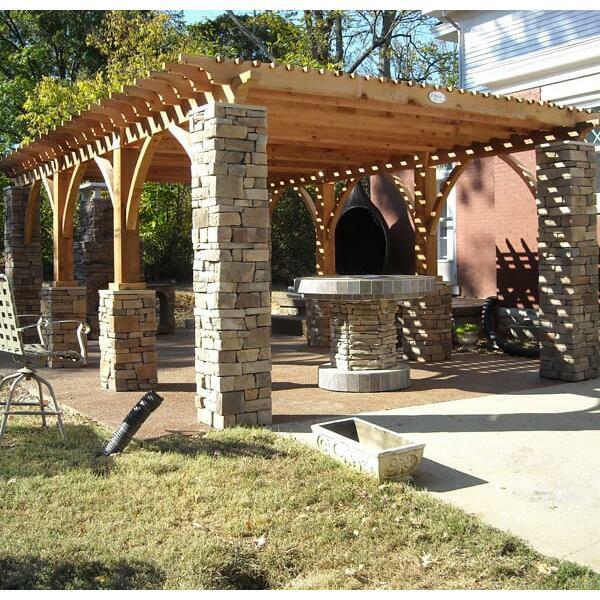 It's time to add an outdoor room to your backyard every guest will love! 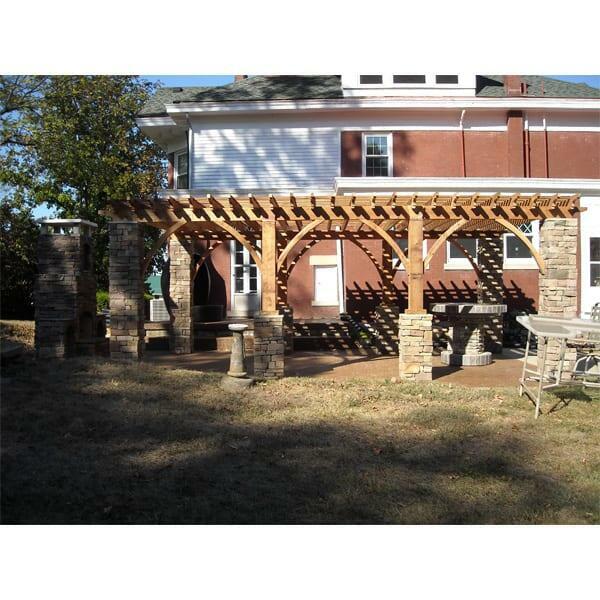 Contact us today and ask about the "McGraw" Pergola Project by Leisure Select. Leisure Select offers a full line of pergolas, fire pits and fireplaces that are custom made to your specifications, including size, color and type. 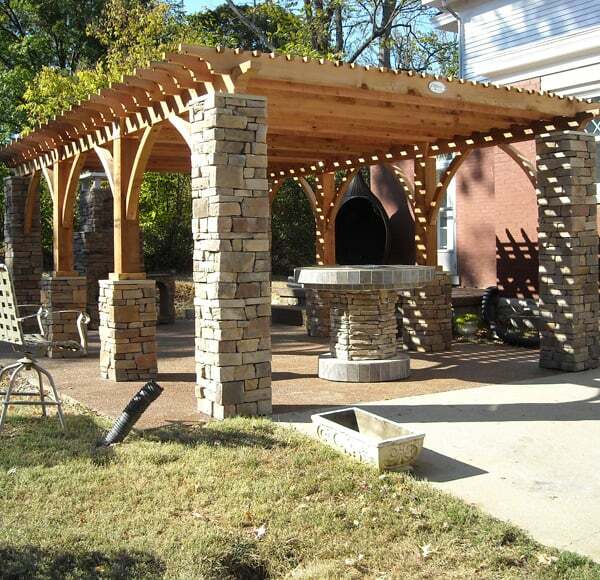 There are a variety of options to consider when building an outdoor room and we specialize in helping you with the design. If you already have plans, or an idea of the look that you are trying to achieve, we can build it exactly to your specs. The quality of materials and craftsmanship that goes into every stucco, wood and stone used in our outdoor rooms is what separates our products from other similar looking designs. Each piece of cultured stone is hand selected based upon size and color and is placed accordingly during construction. When stucco is used, only the top grade Pare 100% acrylic finishes and coatings are used ensuring a tough UV resistant skin that is pliable, vapor impermeable and wear resistant. The internal frame is constructed using aluminum studs that are extremely durable and rust proof.